Amy Korte is the director of research for the Illinois Policy Institute. During her time at the Illinois Policy Institute, she has also researched and written on topics such as property taxes and issues affecting jobs and growth in Illinois. Prior to joining the Institute, Amy worked for several years as a bankruptcy attorney at a major law firm in Chicago. 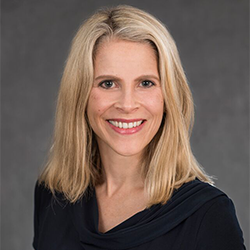 Amy earned her bachelor’s degree in government and French from the College of William and Mary and her law degree from Washington University School of Law.